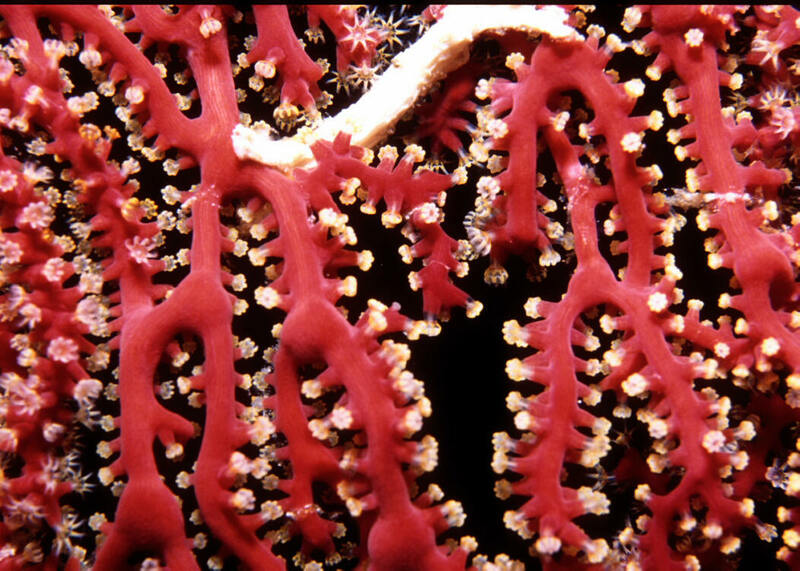 Rapharia gorgonia, Solitary Gorgonian Hydroid. Size: 1/4-1 in. diameter. 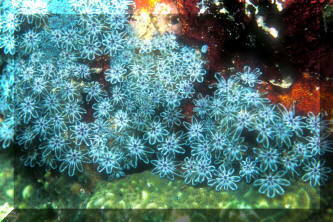 Singular polyps with thin, clearish tentacles. 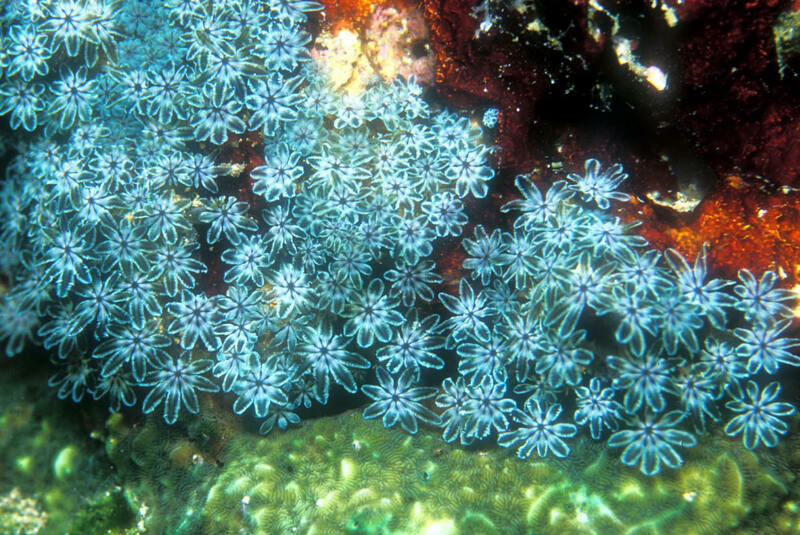 Usually found attached to sea fans, particularly Sea Plumes (Pseudopterogorgia). Roatan pic by TiffB. 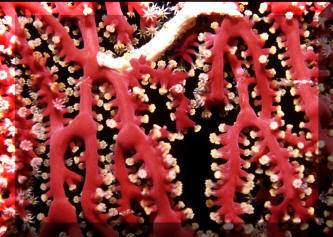 Acabaria splendens, Splendid Knotted Fan Coral. Deeper water species that is planktivorous. Gorgeous close-ups showing the flexible "knots" at the anastomoses of a colony. Red Sea pic by DiF.